Victor Wanyama has completed a long-mooted transfer to Premier League rivals Tottenham Hotspur. The Kenyan midfielder, 25, has been a long-term target for Spurs and now joins up with Mauricio Pochettino for the second time in his career. The Argentine head coach signed Wanyama from Celtic during his tenure at St. Mary's in 2013. 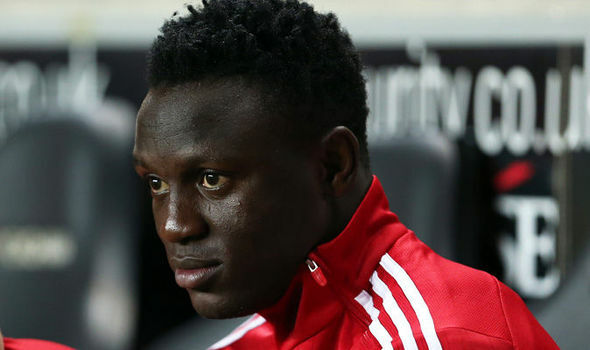 Wanyama departs for a reported fee of around £11m, having departed the south coast with just one year remaining on the deal that he signed with the club in 2013. I write to you with a heavy heart to announce that I will be leaving Southampton Football Club. As you can imagine it is very emotional for me to say goodbye to the club that gave me the chance to be the first Kenyan to play in Premier League. Firstly, I would like to thank the most important part of every club, the fans. I want to reassure you that any “quotes” you have read about in the media before my move was announced are false. I would never disrespect you by talking to the media before I have talked to you guys.It took a while for me to win you all over but I can truly say that with your support and affection I have grown as a player and a person. You guys have always been there to lift us up when we were down, and to celebrate with us when we were playing well. I feel really proud that I got the opportunity to wear the Southampton shirt. Secondly, football is a team sport and it wouldn’t be right not to thank my amazing teammates. Jose, thanks for leading the team and always being there to pick us up when we needed encouragement. Thanks to the rest of the team for always giving 100% effort, I will miss all of you. I also want to thank every member of the Southampton staff: those who work behind the scenes and never get credit for their contribution to our success on the pitch. We are nothing without you. I will never forget my time in Southampton Football Club, I will keep club forever in my heart.